Argentina head into the World Cup 2014 final after dispatching Netherlands 4-2 on penalties after a nervy 0-0 draw. 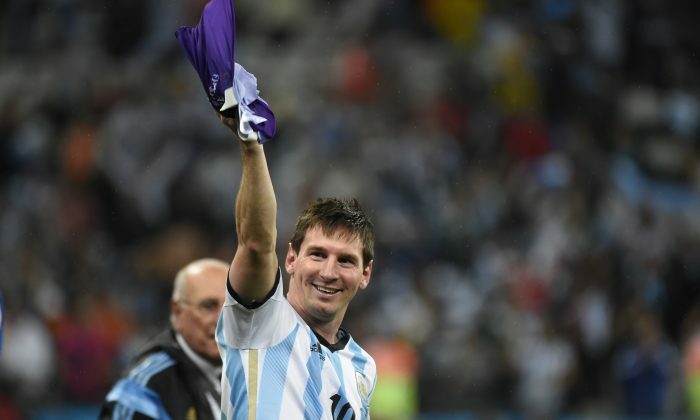 Here are five reasons why Argentina can go on and win the World Cup. Statistic: Lionel Messi entered the penalty box only once in the semi final game… in the penalty shootout. That was against a Netherlands team that was content to sit in their own half, practically played 6-3-1, and had Nigel de Jong man-mark him, though. Joachim Loew’s Germany are nowhere near as defensive, and employ a high defensive line, which means that La Pulga Atomica (The Atomic Flea) should have more space to work his magic. And in earlier World Cup games where teams afforded him some semblance of space, Messi has been able to either score or assist his team mates in scoring. Unless Messi has an off-day, or Germany decide to superglue a man to him, expect the Atomic Flea to deliver the third World Cup to Argentina. Javier Mascherano is the reason why Netherlands, with their attacking trio of Arjen Robben, Robin van Persie, and Wesley Sneijder, were held scoreless. Despite suffering a bump in the head early on in the match, Mascherano rallied, and almost single-handedly stopped the Oranje tide, with his spectacular slide block near the end of full time summing up what a one-man brick wall he is. Mascherano also popped up in the defensive line when needed in most of Argentina’s matches, and is the reason why La Albiceleste have kept four clean sheets in the tournament. Thomas Mueller, Miroslav Klose, and Andre Schurrle will have their work cut out trying to beat the Argentine man-mountain that is Mascherano. Romero hardly featured at all for A S Monaco in the 2013/2014 season (three appearances, one as a substitute), but currently has the best save percentage (88.9 percent) of all goalkeepers with at least three appearances at the World Cup. Plus, should the game go down to penalties, Romero’s confidence must be soaring, seeing how he made two key saves in the semi final shootout. Coach Alejandro Sabella has managed to produce a defensively solid side, something that his predecessors, particularly Diego Maradona at World Cup 2010, failed to do. The backline of Marcos Rojo, Ezequiel Garay, Martin Demichellis, and Pablo Zabaleta have been water tight, allowing a measly three goals pass them in the entire competition. Being steady at the back will allow the likes of Messi, Ezequiel Lavezzi, and Gonzalo Higuain to rampage forward, and seal the win. The South American contingent — minus the Brazilian — that are still hanging around in Brazil will likely throw their support behind Argentina, and will produce a hostile “away” environment in the Maracana that the Germans will find hard to ignore. Also, Argentina will be keyed up to win in their arch rival’s backyard, and heap more misery on the Brazilians.